Learn about how the kidneys function, regulate the salt levels in our bodies, filter our blood, and ultimately keep us alive. The kidneys are located just below the ribs - one on each side of the spine. 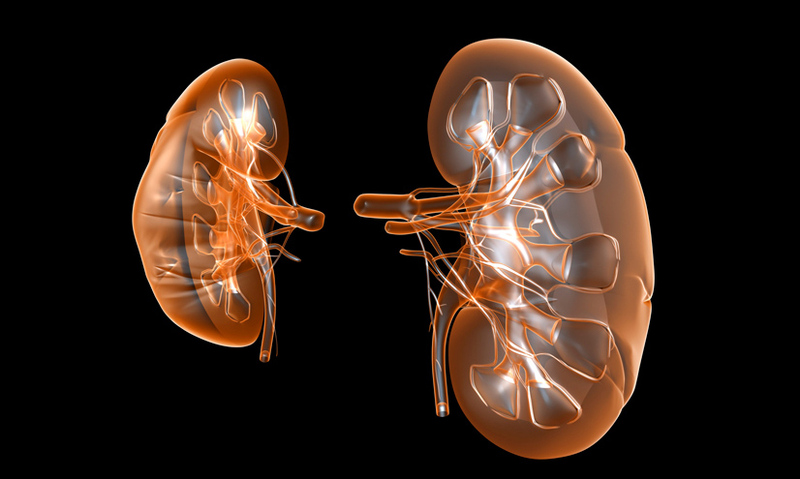 The kidneys control water levels, remove toxic waste and adjust the salt levels within the blood. Blood enters the kidneys and is processed through microscopic filters, called nephrons. The kidneys send clean blood to the heart and urine to the bladder. However much we eat and drink, the water levels in all the cells of our body remain constant. The organs that have the vital job of managing our body's fluids are the kidneys. The kidneys are found just below the ribs, one on each side of your spine.